Fortnite update 1.68 is now rolling out for players on PlayStation 4. 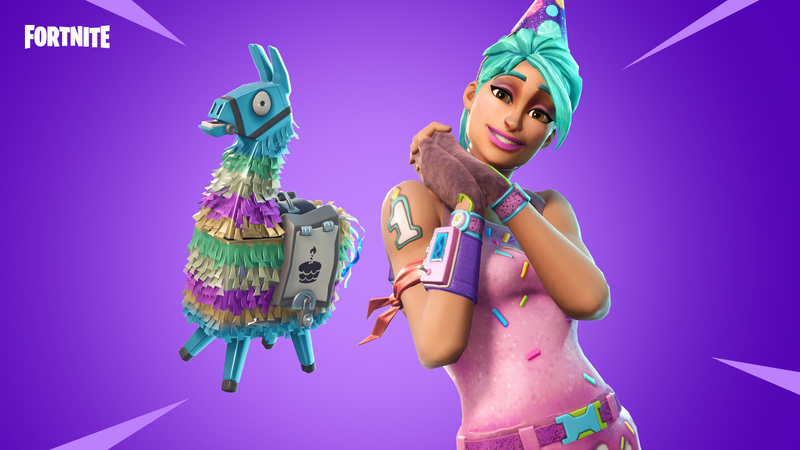 According to the official Fortnite 1.68 patch notes, the new v5.10 update brings birthday cake which throughout the world and earn special cosmetics by completing challenges and quests in-game. 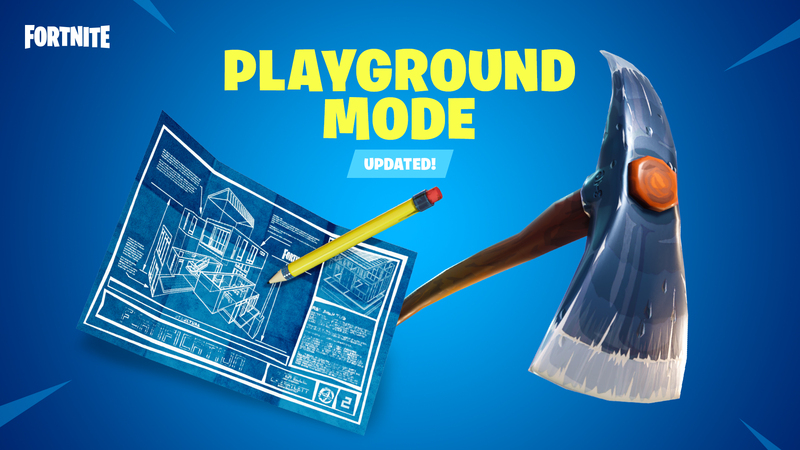 In addition, Playground is back as well as the new Legendary weapon Compact SMG in Battle Royale. Apart from this, Fortnite version 1.68 also includes the Fortnite Birthday questline in The Save the World. Check out the full details below. Recently, a big Season 5 update was released with new features and changes. Viking ships, desert outposts, and ancient statues are now available across the island. Unfortunately, after this patch, many players were experiencing a number of issues when trying to play the game. Today’s Fortnite version 1.68 update is expected to fix all these issues. Race! Create, and share your screenshots and cinematics on social. 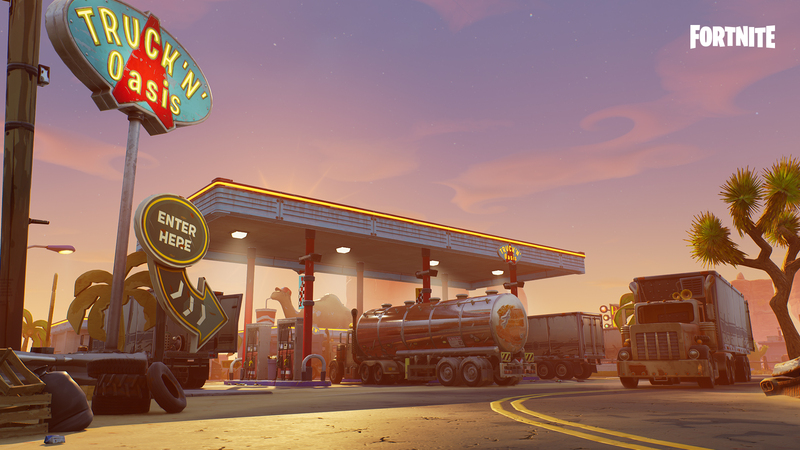 Adventure into the desert of Canny Valley and explore Thunder Route 99… Immerse yourself in the story, uncover its secrets, and explore the new Arid Biome with your friends. Fortnite version 1.68 removed grey vending machines, increased the chances of higher-tier machines spawning. Fortnite 1.68 increased max rocket ammo cap to 60. Fortnite update 1.68 added Chug Jugs to floor loot. Fortnite update 1.68 added “Sprint By Default” option, when enabled this makes sprint the default movement. The sprint key will now be used to transition into walking. Fortnite patch 1.68 improved handling of collision when building pieces are placed right on top of a player. It’s much more likely for players to be moved outside of newly-placed structures. Fortnite update 1.68 improved All Terrain Kart (ATK) audio attenuation fall-off. Fortnite 1.68 added a unique sound when the All Terrain Kart (ATK) is destroyed. Fortnite patch 1.68 added the ability to combine stackable items in player inventory if the stack sizes aren’t already capped. Fortnite 1.68 fixed issues with drone cameras when viewing players in vehicles during replays. Fortnite version 1.68 added new placeable individual quick bar buttons to the HUD layout tool. Can be set to either locked Combat, locked Build, or Automatic mode to switch based on the player’s currently selected mode. Fortnite update 1.68 fixed texture streaming issues with the battle bus. Fortnite 1.68 patch notes added New Fortnite Birthday quests! Fortnite version 1.68 added New Mythic Constructor: Steel Wool Syd, has been added to the Act 1 Canny Valley questline. 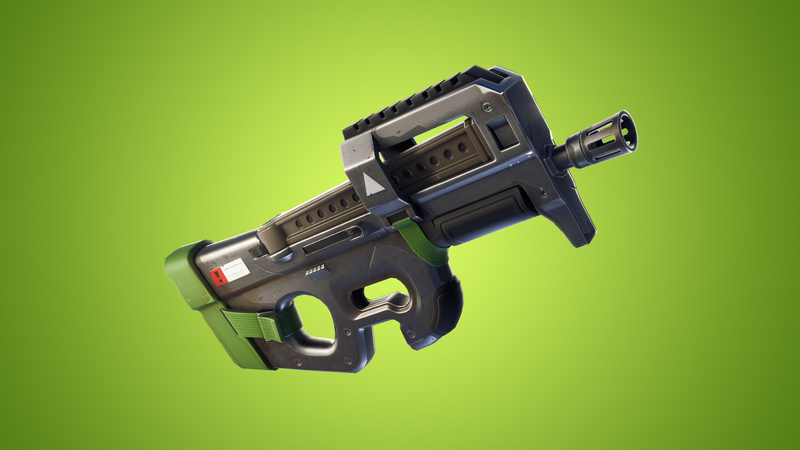 Fortnite 1.68 patch notes adjusted the rocket from the Tiny Instrument of Death to account for player movement and home in towards the player’s reticle more aggressively. Fortnite update 1.68 updated the Stonewood quest map to reflect that the Loot Llamas quest has been removed. Fortnite 1.68 fixed an issue that could cause players to become stuck on the Loot Llama Tutorial quest. Fortnite patch 1.68 fixed an issue where Banner could be left floating in the air if the building under it was edited before being destroyed. Fortnite PS4 update 1.68 fixed an issue where some Horde hexes were giving Horde Skill Points that were one tier lower than intended. Fortnite PS4 1.68 update fixed the issue where a Llama from your inventory queue could be opened rather than a purchased or claimed Llama you just obtained. Fortnite 1.68 added keyboard key prompt for the Decline button of the recycle/retire dialog box. Fortnite update 1.68 updated the tooltip for Wild West Soldier Practiced. Fortnite version 1.68 fixed an issue with certain areas not playing water visual effects while running or jumping in water. Fortnite 1.68 added fixes for crashing issues. Fortnite update 1.68 for PS4 and Xbox One is now available for download.